While officially WordPress 4.7 was released under a jazz legend, “Vaughan”, I have another name for it, and that is The “We Did It” release. I know it sounds funny, but hear me out. REST API made it into the core, so yes, WE DID IT?! This release was led by Helen Hou-Sandí, backed up by Jeff Paul and Aaron Jorbin as Release Deputies, and with the help of these fine individuals. There were 482 contributors (along with yours truly ?) with props in this release—the most ever—with 205 of them contributing for the first time. ✊ Merged! A lot of us had been looking forward to having REST API merged right into the core. It finally got merged in 4.7. Which is huge!
? I’m Building Something USEFUL: With this release, I’d like to unofficially announce a massive project that I have had been working on, it is a SaaS platform which I plan to release early next year. It is largely based on REST API and rightly so!
? Contributing my fair share: I believe in the WordPress ecosystem, which is why I give back to it, by any means possible. I’ve proudly contributed my fair share to the REST API project. Most of my contribution here had to do with helping make the code conform WordPress coding standards. And a few pull requests which are still being reviewed.
? New Year, New Theme: Every year since 2010 the team behind WordPress comes out with a new default theme that is named after the year. 2017 is just around the corner, and this time we have an incredible WordPress theme called TwentySeventeen. Mel Choyce (@melchoyce) did all things design during the creation of Twenty Seventeen while folks like Laurel Fulford (@laurelfulford) and David Kennedy (@davidakennedy) assisted her, leading the theme’s development.
? Cutting Edge: TwentySeventeen theme represents the best-featured default theme so far. It is a multi-purpose WP theme, its UI looks great, and it is accessibility-ready. What I liked most about it was how for the sake of this theme, developers got together and created new features extending the WordPress core itself and the Customize component to add theme options. Do try it out. ⚡️ Gotta Giveback: Before I became a Full Stack developer, I was a theme developer, and if I am allowed to be a bit bold, I was a front-end fanatic. Which is why giving back to a default WordPress theme had always been a #LifeGoal. I did contribute for the first time in TwentySixteen last year, but why stop there? I contributed 364+ lines of code in this theme, which is exciting.
? Getting there: IMHO WordPress customizer is the fastest growing core component. WPTavern recently reported that “WordPress Passes 27% Market Share, Banks on Customizer for Continued Success“. ⚡️ Roller Coaster Customizer Ride of Contribution: I have had been contributing regularly since WP 4.2 and Customizer is the component I fell for. I think it is growing and improving at a far better pace than almost any other component inside the core. Huge props to Weston Ruter (@westonruter) and Nick Halsey (@celloexpressions) for their work. This BTW is the only reason why I have started to contribute to the Customize component. I think that many of the developers who do not like Customizer aren’t aware of what it has become in the last two years. Customizer has improved a lot, and it is only getting better and better. ✊ My Clients Love Customizer: Most of my clients are happier and feel more comfortable while customizing themes via Customizer. WP admin has a massive tech debt; it is slow and sluggish. Customizer, on the other hand, has everything we need to make things better. A VueJS or ReactJS port might help but not as dramatically as it did in the case of Calypso. It might end up alienating a good chunk of contributing developers and slowing down the adoption in the long run.
? Anywho, I think more developers should consider reading its API and improving the component which is so much vital from a user’s perspective. This kind of thing used to be a deal breaker for WP – not anymore. And if you are a developer, do take a look at my WordPress Customizer Package For Sublime Text!
? 100% Urdu Translation: If my recollection of lost isn’t misleading me then WordPress 4.7 is the first version to be fully translated into Urdu. I wrote about it at ? 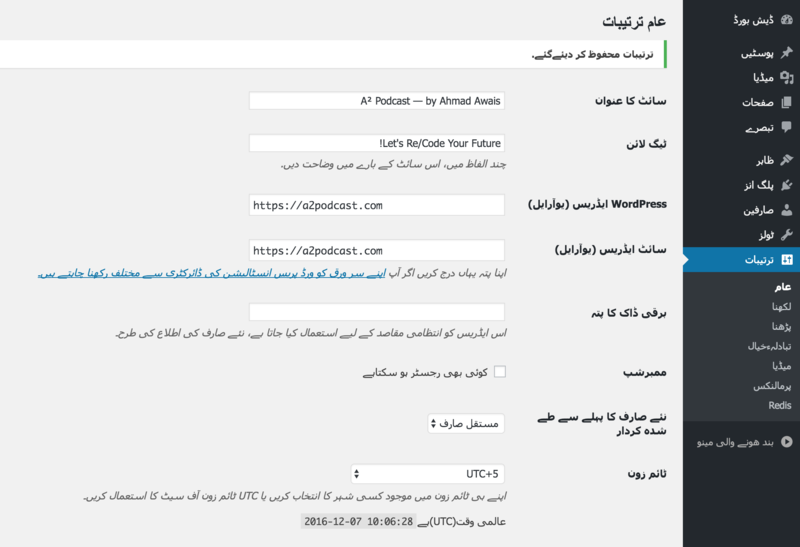 WordPress in Urdu — History in the Making! Now you can go ahead and install WordPress only to chose Urdu language and enjoy more native WP experience.
? TwentySeventeen in Urdu: Not only this but the new default WordPress theme was also translated in Urdu, thanks to Farhan, Saqib, and Bilal — our new Urdu Translation Editors.
? 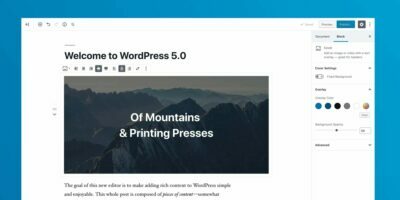 Update: WordPress journalist, Sarah Gooding cover this news in an incredible piece at WPTavern that states “WordPress 4.7 is the First Release to be 100% Translated into Urdu“. Have at it! ⚡️ WordPress 4.7 has been an incredible release! Don’t take my word for it; there were a quarter million downloads in first 1.5 hours of the release. 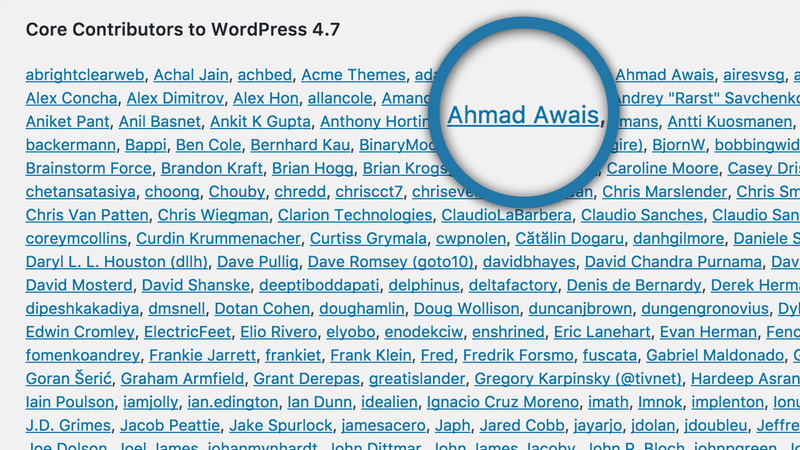 If you are a WordPress developer, I strongly recommend you to read Aaron’s WordPress 4.7 Field Guide.
? Why I Contribute? As I mentioned before, I believe in the WordPress ecosystem, which is why I give back to it, by any means possible. One of the best ways to give back is by contributing code to the core software itself. By that way, I get to help millions of websites and users. That feeling alone has been providing me with enough energy to contribute. ⚡️ The Driving Force: I started contributing to the WordPress core when WP 4.1 was released and have no plans to stop anytime soon. WordPress 4.7 marks the 6th release in a row where I was able to contribute. I feel proud to be able to do this. This has been my driving force to do good.
? Proud Contributor: It is hard to speak about yourself and not sound cocky or show off. Which is why I feel like it is important to clearly state my intentions here. WordPress is all I do for last four or more years. Being connected with WordPress ecosystem, I felt that I needed to do more and dig right in.
? 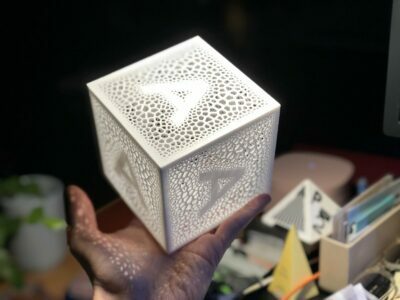 Fighting Chaos: When I left Electrical Engineering in pursuit of a career as a Full Stack web developer, I found out that the internet was changing at a rapid pace. It was hard to deal with all that chaos and find my thing. Confusion took over, and I spent months deciding what do I really want to be.
? Long story short, I chose WordPress and have planned to give it my best for the next ten years. My day is scheduled all around WordPress, I write, think, speak and talk about it all the time. So, when a new version gets released, I find it very hard to contain myself. ?
? Part of the Internet I know/control: WordPress keeps me consistent, one good thing in ever changing web trends. WordPress is one part of the internet that I get to know all about. And yes, I am proud of it. I plan to get more serious about the REST API and Customizer in 2017. And with the new release cycle, I cannot wait to interact with Matt and see where he takes us all with this huge change. What do you think about WordPress 4.7?